Q. 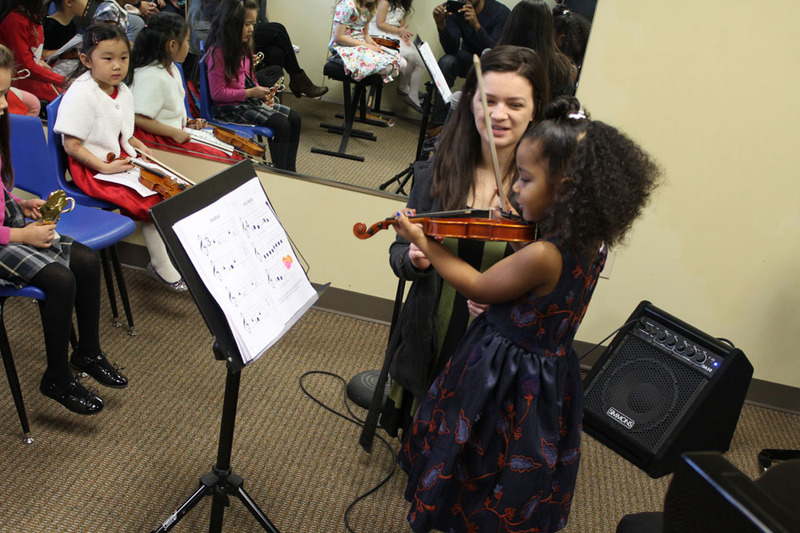 Does my child need to have a violin for their Sacramento violin lessons? A. We do not provide violin rentals at the Natomas Music Square. It would be the best to rent from Kline’s Music or Tim’s Music in Sacramento. Q. How do I know which size violin I should get? A. If you go to the music store, they will let your child try different sizes of violins to see which violin will fit them best. Q. My kid says she / he wants to learn violin, and how do I know she / he is serious? A. Sometimes, a child might just want to try something out. If you are not sure if they are serious about Sacramento violin lessons long term, you can call us to see when the instructor is giving another student a violin lesson, and you can bring your child to observe for 5-10 minutes. Q. What age should I start violin / viola lessons? A. For one-on-one lesson, it would be great to start at age 7 and up. If he/she are under than 7 years old, parents participation and commitment is required. Violin is not an easy instrument to pick up from the beginning, but if both parents and child have the commitment and determination, then it will work out perfectly. Q. Do you teach beginning violin or beginning to advance violin? A. At NMS, Cindy teaches all the beginning to intermediate advanced violin students. Pamela Buck will take all the advanced violin students and further advance their technique/ repertoire.